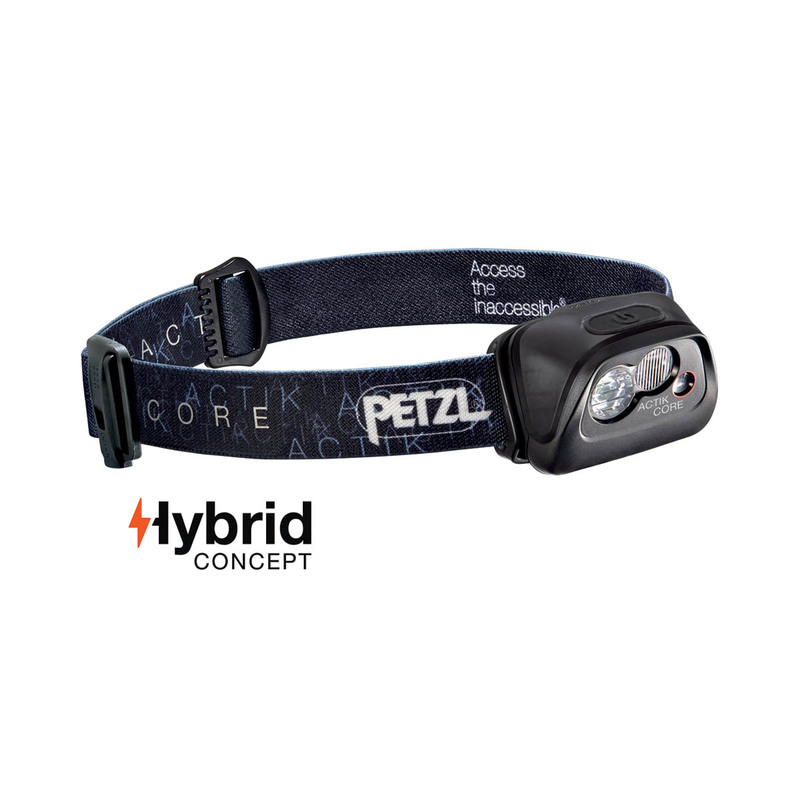 The Petzl ACTIK CORE is a rechargeable 350-lumen headlamp that with its HYBRID concept has multiple power options for extra reliability in all outdoor activities like mountaineering, running, hiking, and backpacking. The Petzl ACTIK CORE comes with a rechargeable battery pack (that can be charged via a micro-USB port for universal charging), but it can also be used with standard AAA batteries. Perfect as you no longer need to buy a spare battery or worry if you cannot find a charging port, simply take along or buy some extra batteries for just-in-case emergencies. The ACTIKE CORE has a red mode for preserving night vision and an intelligent white mode that can be set to three modes - max power, standard, max autonomy - for a choice between max performance and best economy, depending if you are on a long expedition or a short intense mission. Comes with a rechargeable battery for simple recharging via a micro-USB port. Simple recharging via the universal micro-USB port, or, if there's no other option, can also be used with batteries. Designed for proximity lighting, movement, and distance vision. White and red lighting for nocturnal stealth. Adjustable elastic headband is equipped with an emergency whistle and retro-reflective markings to optimise visibility.